What did Paul really say? This question underlies the debates concerning the ‘New Perspective on Paul’. This label embraces a loose collection of scholars who, over the course of the past century, have questioned anew Reformation-era conclusions regarding the message proclaimed by Paul. Because the debate regularly broaches foundational issues concerning the doctrine of justification, discussions often flare red-hot. Due to the diversity of the New Perspective proponents and the origins of the debate in academic circles, many pastors and teachers struggle to understand the main players or the points under contention. Helpfully, Waters’ book combines a survey of the academic discussion with expositions of several major predecessors and proponents such as Krister Stendahl, E.P. Sanders, James D.G. Dunn, and N.T. Wright. As the title indicates, Waters both appreciates the diversity of the movement while also highlighting points of affinity. Beyond simple description, Waters also includes running interaction and critique of exegetical and theological conclusions. 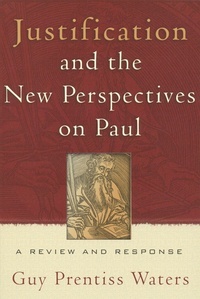 The final two chapters provide Waters’ points of critique and address specific implications for Reformed Christianity.